"Received my review in an easy to understand format. Unfortunately, what I thought was causing my pain apparently isn't. However, the diagnosis helped me in the sense that I will have more information when I go see my regular physician. " I am a practicing radiologist with 18 years of experience and have interpreted more than 100,000 CT scans and 75,000 MRI scans in this period. My main interests are in chest, musculoskeletal and cardiac radiology and image-guided intervention. 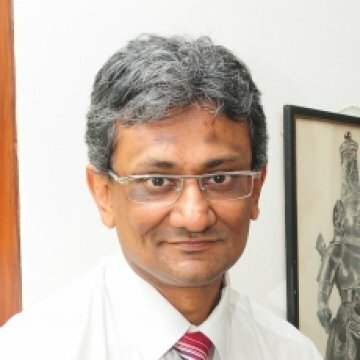 Former president of the Indian Radiological and Imaging Association as well as Editor-in-Chief of the prestigious Indian Journal of Radiology & Imaging. Founder of Jankharia Imaging. The report in clear language and all questions adressed. Professional service, I will highly recommend for second opinion. Received my review in an easy to understand format. Unfortunately, what I thought was causing my pain apparently isn't. However, the diagnosis helped me in the sense that I will have more information when I go see my regular physician. Quick turnaround and concise, easy to understand report.